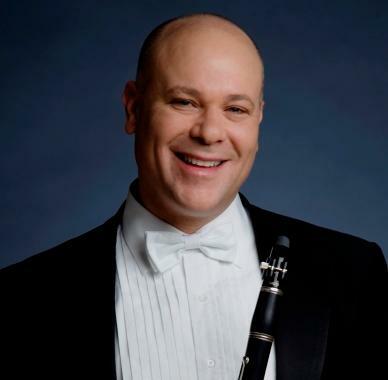 Acclaimed clarinetist Andrew Simon has appeared as soloist and guest lecturer on four continents. As Principal Clarinetist of the Hong Kong Philharmonic Orchestra, Simon has recorded solo works by Baermann and Stravinsky and has performed concerti over 60 times, including John Corigliano's Concerto for Clarinet and Orchestra which he studied with the Academy Award-winning composer. Among his notable performances are those with the Mainly Mozart Orchestra (US), the Singapore Symphony, as well as giving the Australian and Asian premieres of the original, unpublished version of Copland’s Concerto. In addition, his recital CDs include “HOT” and his new release, “Ebony and Ivory,” for NAXOS Recordings. As guest lecturer, he frequents institutions such as Yale University, the Sydney Conservatorium, the Royal College of Music in London, and the Central Conservatory in Beijing. Having recently given his New Zealand and Sichuan Philharmonic concerto debuts, upcoming projects include concerto performances in Taiwan and Hong Kong, Masterclasses in Japan and an Australian recital/masterclass tour. A graduate of The Juilliard School, Simon is a Buffet-Crampon, Vandoren and Ishimori artist. He is also the first American-born musician to perform in North Korea. Away from music, his adventurous streak has taken him to an ashram in India, a bungy jump in New Zealand, and a tennis match against John McEnroe (he lost).